“Mommy, come quick! Hurry! Run!” my six-year old yells one summer morning as we’re playing outside. I rush to get the skimmer and quickly pull the poor creature out of the water. I gently tap it onto the grass, but can see that it’s not moving. Slowly, after a few moments in the sun, it starts to clean its face with its antennae. But I can see that two of its wings are stuck together, and without those wings it won’t be able to fly. If it can’t fly, it can’t survive. “Is it going to be okay, Mommy?” my boys ask, with true distress in their voice. They’re both anxious, as am I. “Say a little prayer,” I remind them. 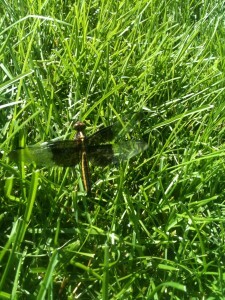 “If every blade of grass has it’s own angel, I imagine a dragonfly has at least a few. I’m referring to the Talmudic quote that says, “Every blade of grass has an angel that bends over it and whispers, “Grow! Grow!” If every blade of grass has an angel cheering it on, imagine what a dragonfly or a tree or a human must have? I could have cried sitting there in the grass. I knew that if it died, we would have embraced it as a teaching as well, but I really didn’t want it to die. Death is inevitable, but death at the hands of humans with their luxurious toys (a swimming pool), seems cruel and unnecessary. I run upstairs and bring back three wet Q-tips, then carefully touch the wings and try to separate them. The dragonfly flutters and resists, terrfiied, I’m sure, by these giant creatures invading its tiny space. But I keep going under the watchful eyes of my sons. After several minutes, the wings separate. But the dragonfly still doesn’t move. It’s stock still, scared, not knowing or believing that the wings are separated. We gently blow on it, and then, in one joyous moment, like the sun breaking through in a dark, stormy sky, it flies. We all applaud. The joy is palpable as my six-year old and I high five each other. My older boy is smiling from body to soul. 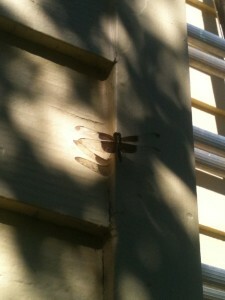 We walk to the side of the house, where the dragonfly is resting and, I imagine, sighing a big sigh of relief. 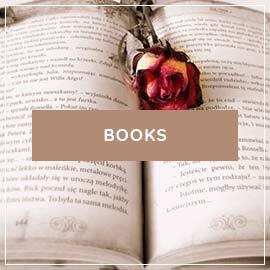 And so are you, dear readers. If you’re here, struggling with doubt and anxiety, it’s because you’ve been living a lifetime of sequestering your tender heart into a black box at the bottom of your soul. It’s time to bring that out now. It’s time to learn to embrace your sensitivity as the gift that it is. You must do this first for your own sake. And you must do it for the sake of the world. It needs your sensitive heart. It needs you to stop judging yourself as “too sensitive” or “weak” and instead realize that it’s this very sensitivity – the compassion in your heart that cares for every living creature – that will not only heal your own heart but heal the heart of the world. When talking about what prevents them from being willing to feel their pain, my clients and course members often say, “If I open my heart to my pain, I would cry every day.” Yes, you might. And to me that’s a sign of health. We live in a world full of pain and suffering. It’s when we block ourselves from this pain that we create an internal dam that eventually leads to symptoms like anxiety, panic, and intrusive thoughts. But when we allow the pain to touch us – to tear up or cry for every living creature who suffers, to say a prayer – we are also opening the channels to love. Love lives in the center of the compassionate heart, a deep, abiding love for every living creature that walks and flies and crawls on this great blue-green beautiful planet. I love this story. And it’s a story that my partner and I replicated yesterday. Enjoying a nice sunny labor day weekend at the pool yesterday, My fiancé saw a beetle in the pool that he quickly tried to get out of the water. As he moved the beetle on to the cement he noticed that one of his legs was broken. We were trying to move the beetle out of the sun so he wouldn’t sit there and burn but we didn’t want to hurt him anymore. We grabbed a leaf and moved him into the shade. We both sat with a sigh of relief when we finally were able to see him moving again (hoping that is hurt leg won’t be the end for him, but if it was at least he was in a better place). I am so glad I have a partner that cares about creature just as much as I do. We couldn’t enjoy the pool without finding other bugs that we kept trying to save! The thing is my partner has NO anxiety whatsoever. Whereas I am obviously the opposite. Maybe he has been better about owning this side of himself than I have but I am not sure, but it makes me wonder how we can both be very gentle and sensitive souls but I am plagued with anxiety and he is not. Thanks for sharing, hope you had a great weekend. Beautiful. My guess is that your partner, as you said, doesn’t judge his anxious-sensitive nature, and that while he’s a sensitive soul he’s not wired for anxiety in the same way that you are. I wonder, if it is not easy for us to cry, how do we find a satisfying release or outlet for those moments of pain? Especially when you know something is very painful, but you still can’t bring yourself to cry. I try to breath, write down my thoughts, or pray as you have suggested. I feel the same. Sometimes I know I’m upset and hurt and I get the initial lump in my throat but I go to let go and cry and nothing will come out! I do have a question that is been in my head for a while…. I been little by little working on not giving power to my intrusive thoughts or feelings and of course there is times when I feel my heart with love, but laterly since I dont give my thoughts that much power I dont get anxious but still sometimes I don’t feel anything…. I am very caring for animals and there is times that i m so vulnerable that I feel my heart breaking when I see an animal suffering but other times I just let it go by and I dont feel anything. Same with my husband sometimes my mind tells me things like you dont love him as much as he does, I dont buy the thought but still I dont feel the love or devotion either. So I worry, you said the amount of the fear is the amount of the love, I dont feel the panic I did before does that mean my love is not as big anymore? And about the feelings I sometimes dont have for animals, is that bad? Why do you think that happens? Thank you and I do have to say, part of me not having so much panic is because of you, learning about love snd what it really means to love has helped me, specially when I feel or think something bad or that I dont like, I dont give it power which helps me not getting anxiety or panic about myself. Ultimately the work is to learn how not to use our feelings – either love feelings or fear feelings – as barometers for whether or not we’re in the “right” relationship. Love is not only a feeling; it’s an action, a choice, and an act of will. So just because you’re not “feeling” the love or fear, that doesn’t mean you don’t love your partner. There’s not a reply showing to your post as I’ve just read it. If helpful, I note you wrote that you ‘try’. Some might say that keeps you forever ‘trying to’ rather than achieving what you desire. May I suggest an action which may help? There’s a “flow-writing” exercise which can enable the writer to get more in touch with their underlying emotions which may be blocking them. may feel and read like a jumble of random words, completely nonsensical eg ‘yellow cucumber party blobbing’ and when you read back after time is up, you will likely notice a word, or a theme, a few words may catch your attention, you may become aware of a feeling, then focus on this feeling or word(s) and you may find a greater awareness. May prompt you to flow write again with the intention of understanding more about what you’ve just discovered. It so happens that my self keep shutting down and I keep making selfish decisions for myself that I’m pushing away my family and my loving girl(she told me that I’m selfish and immature due to my decisions to her and my family). The people who cares for me the most. I want to change, I want to grow but it’s so hard and I don’t know what to do. I know that I’m a highly sensitive person and I’m training myself to relax and control my temper and allow them inside me. I hope someone else is like me. I need help but I can’t talk to my girl about this(she will tell me that I don’t love her enough or I’m just with her because she’s an option). I just want to break down because of my decisions. I’m so sorry you’re suffering, Ken, but remember that the intrusive thoughts are a doorway to your healing. 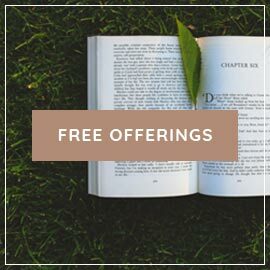 I suggest you wait until next month when I release my next course, Break Free From Relationship Anxiety, which has an entire section just on intrusive thoughts (videos, PDFs, interviews, etc). You can absolutely find your way through with the right tools and support. Your beautiful story brought forward a painful memory of a similar event that happened exactly here at my partner’s childhood home where we are staying now. We were outside in the garden enjoying the soft sun of the end of the day. We noticed that a little bird was completely caught up in the web that was covering the currant bush. We quickly ran for tools and tried to free the poor thing from its captivity. When we managed to cut it off the web we still had to free the wings and legs from all the remaining pieces of web that was tangled around it. I was cutting away with the precision of a surgeon and I could feel the stress of the little creature under my hands, so afraid. It was trying to move in distress but after a while it closed its eyes. We thought it had surrendered to our efforts and as I lifted off the last piece of green web and let go of it, we were both staring wide-eyed and almost holding our breaths, waiting for the little bird to take off. But nothing happened. After a hard minute we came to face the fact that our rescue took too long for the little bird to handle. It seemed impossible to accept. We were both terribly stricken by grief for days on. I have been feeling in a vacuum over the past couple days and anxious thoughts were taking hold of my mind. Thank you for reminding me of my partner’s beautiful soul and sensitivity. He wants to help every living creature and I admire this so much in him. What a horribly painful story, Tundi. I can feel your desperate efforts, and then the pain of knowing the little bird was gone. Keep breathing into that pain. Say prayers. Create a ritual in some way. And remind yourself that the bird is free from suffering; it’s we, still here, that carry the pain. Sheryl, your story brought me to tears! If everyone in the world had parents like you and your husband to instill compassion, empathy, and respect for all living creatures, the world would be a much better place indeed. My parents raised me to love and respect all forms of life and it has been one of the greatest gifts they could’ve passed on–I feel so much more connected with the natural world. Also, this could just be the circles I run in, but it seems like more and more people are slowly opening their eyes to the needless animal suffering going on all around us, and taking steps to combat it (such as SeaWorld and Cecil the Lion). However small, it feels like progress. Yes, there seems to be a shift in consciousness. It’s hopeful to see! Hi Sheryl, thank you for this wonderful post. I have commented a couple of times that a lot of times my anxiety comes in the voice of “God does not want you to be with your partner” to which you pointed me to your post on Living God’s Will. This really helped me a lot because I know that I was definitely viewing God as something a part from myself. I just finished reading “The Road Less Traveled” which I know holds a similar view on true love as you do. The book has helped me a lot. Except at the end it discusses that the will of God is really our unconscious will, and mental illness (like my anxiety) occurs when the individual deviates from the will of God (the will of our own unconscious mind). This has definitely made me feel uneasy because I feel like it affirms my fear mind. I know the book is older, but I was hoping that you could offer some insight on how I’ve connected the two. When I release my updated e=course next month I’ll be including a note about “The Road Less Traveled” that says something like, “Please read the chapter on Love but do not read the rest of the book!” M. Scott Peck has some brilliant things to say but, like all of us, he has his blind spots. All that to say I don’t agree with this assessment of anxiety. Thank you so much for the response! I agree completely. The first two parts of the book really challenged and enlightened me but I struggled so much with the rest after the chapter on love. 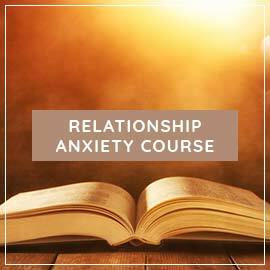 I am really excited for the relationship anxiety e-course! I definitely plan to join! Does anyone have times where they feel it’s best to leave it and give up? And let the other person move on? Because he is so supportive and helps me through everything. I have been having a hard time with my family recently and he has been so supportive and it makes me feel so guilty to know that I am not fully appreciating that because of my anxiety. My anxiety won’t let me love him anymore. I have always had anxiety and fear from the start but it was never in the drivers seat and now it is! I can’t seem to kick it away. It came back bad because I was scared of spending time away from him with my friends in case I met someone else or found someone else attractive. I don’t want to that happen and I am so scared of it happening because people are so open about things like that happening. And then I put myself down because I over analysed the fact that I was always so excited to get married and have kids. And I think I have realised that I wanted to rush it because then I felt there was nothing to be worried about after if it’s done because I’ve got everything out of the relationship I want before anything goes wrong because I’m scared of it ending. I have now realised that marriage and kids won’t change anything. It won’t just make my anxiety go away because I will find something else to worry about. I also got scared because I had a thought of my boyfriend and I wasn’t over excited or ecstatic to speak to him or see him, this scared me so much! It wasn’t even conscious, it was like I immediately ‘knew’ that it wasn’t going to work from then on. But I keep questioning that thinking how does that make any sense? It doesn’t! It really is hard not having complete certainty on wether your relationship is good enough or not. We are due to move in together soon but it was supposed to be a while ago but things have been going wrong with the house so we haven’t been able to and I’ve been worrying that it may never actually happen! And for ages I would cry to my mum telling her I was scared of moving in with him and she would ask why and I wouldn’t know why, I just felt scared! I think it’s just a big move and I’m scared of it failing. I also spoke to my boyfriend about relationships and how people give up for no reason, he agreed and said that people give up when times get hArd and that relationships aren’t like Disney movies, and I know this I’m just having a hard time accepting that they are not perfect all the time. But this is difficult for me because I thought mine was until recently and this is my first relationship and I don’t want to it to fail! I want a relationship like my mum & dads and my nan & grandads! I’m also anxious about spending time with him now because I’m so worried that this is the truth. I do want to be with him but sometimes I feel like I can’t because something is telling me not to be with him. I keep trying to remind myself of a time when I told my mum that even if I fell out of love with him I could never finish with him because he is such a great Amazing person who I love so much-and I was very emotional whilst saying this. And now that I have kinda fell out of love with him I am finding it harder to do this than I thought I would. Part of me thinks that this is just another stupid anxiety and not the truth because o have had so many thoughts in out of my brain! I used to worry that he didn’t love me,and then it changed to worrying that I didn’t find him attractive (which went on for ages and now it couldn’t be further from the truth) and the it was that he annoys me sometimes and I used to worry that because he used to annoy me that meant I didn’t love him, and now it’s this fear….that I don’t love hi full stop because I haven’t been feeling really connected to him,sometimes I worry because we have nothing to say sometimes. And it feels so real! I don’t know how to deal with this one. Can anyone point me in the right direction for any articles on this to help me? I think I have dealt with the rest of the fears I have named but you never know because I thought this was one that I had dealt with. I know love ebs and flows but it’s hard trusting myself when I say that! It’s like I feel like mine is a rare case and I should just leave. I don’t know what to do because I’m so scared. Has anyone else been through anything like this? I don’t know if I ‘can’t be bothered’ because I actually don’t want to or because it’s my anxiety trying to tell me I can’t be bothered or I just can’t be bothered with this anxiety!! It feels like so much effort sometimes. I just wish this would go away and go back to how we are before. I don’t want to be with anyone else because when I think of a scenario in my head of me being wth someone else it scares me to death and makes me anxious and angry! Because I don’t want to be with anyone else. I don’t know if o I need to grieve what I thought relationships should be. I can’t seem to Get my head around making the effort to feel or be loving when I’m anxious. I am generally quite a lazy person so this is probably why and I have always given up on things in life when they got hard and they just didn’t ‘work’. The phrase ‘relationships are hard work’ scares me because that reminds me of actual work and that is something I do not like. But this never phased me before all of this happened 3 weeks ago! How can I stop this once and for all?! Because I can’t keep on like this otherwise I am afraid he will finish with me and I will ‘not realise what I had until I went away’. I need help desperately but I don’t think anyone else will understand outside of this blog. I started being able to reassure myself but I feel it’s been so much harder these few weeks because there have been about 5 new fears all at once and o think it’s because I was finally getting myself on track and all this pops up!! I love this Blog!! I have fond memories of snails that were living in our garden. When I was the same age as Everest, I would navigate and explore our active little slugs and other bugs. Me and my brothers would spend hours in our backyard and they became part of our family. Animals any living creature brings the best of us. We feel their pain and their excitement especially when their fed and helped by us humans. As much as they fascinate us, we fascinate them too!!. Have you ever written about finances in a relationship? My fiance and I come from very different financial backgrounds based on the homes we were raised in. In our life together we are very on par with what we earn and how we spend. So in our actual life its a non issue and we actually have a very lovely lifestyle that we both enjoy. However, lots of times I find my fear will latch on to thoughts like, “he won’t be able to meet the lifestyle you’re accustomed to, or he will never understand or love travel like you do, or his family will think its silly if we bought a fancy home.” I know they are fear thoughts and come from some place that needs attention. 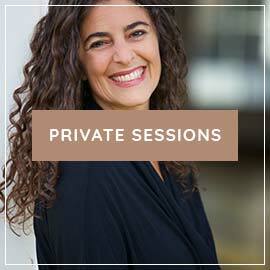 But I have also heard that different SES are some of the hardest differences to work out in a marriage. This post makes me feel really greedy which isn’t the case. I just want to learn more about these pesky thoughts so I can work through them and find more pride for my partner and how hard he works! 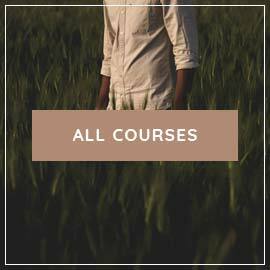 Has anyone ever had a problem buying the course on PayPal? It has put two of the courses in the basket but obviously I do not want to get two! 🙁 and I can’t remove it! Since 6 months I have been following your blog and have learned a lot about love and relationships. I was getting better, with ups and downs. But then my boyfriend started to experiencing the same kind of doubts and intrusive thoughts.. I was paralyzed when hearing this, because he was always the stable and secure factor in our relationship. This resulted in 3 weeks of more thinking and more doubhting, when last friday we both decided to break up to get out of the cirkle thinking and to get a clear head about it. Now I am a bit numb, empty, I am not sad and I am not relieved. I am still thinking in cirkles because I am still doubting if this is the right choice.. We decided to talk to each other after a week of no contact at all. But I am scared that I still don’t know then. We could not say to each other why we were breaking up, because we love each other, we like each others company and we work when we are together..